For those Windows 8 users who longed to boot directly to the desktop, your prayers are answered. 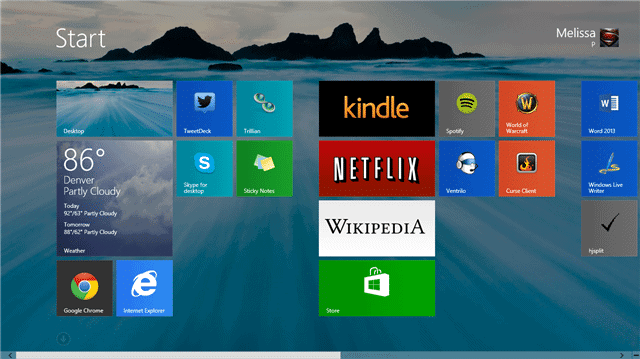 Windows 8.1 introduces the boot to desktop feature, and we’ll show you how to enable it. Every version of Windows most of us remembers or have used has always let users boot directly to the desktop. In fact, there wasn’t another option unless you customized your PC beyond what Microsoft provided you. 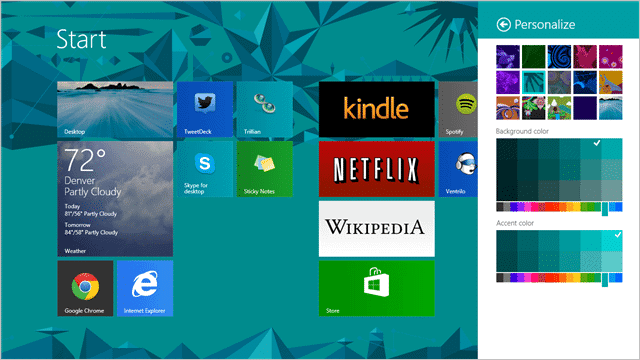 When Windows 8 introduced the Start screen, it gave users no option to boot to one or another. It forced them to use the Start screen which has kept many users from upgrading. Now that the boot to desktop option has been added, this might be another reason to consider using Windows 8. Microsoft included the boot to desktop feature but failed to provide any instructions for how to enable it. We’ll show you how to boot to the desktop and give you the pros and cons of doing so. Head to your Windows desktop. Then, click on the “Navigation” tab. Click “Apply,” then “OK” and the next time you boot Windows 8, you’ll head straight to the desktop as opposed to the Modern Start screen. This will only change settings for the account logged in and not for the whole computer. If you have multiple accounts you use, you’ll need to change the settings for each one because Microsoft eliminated the Group Policy entry for this feature when Windows 8 was released. We’ll keep out eyes peeled at TechNorms to see if there’s a workaround, either through the use of PowerShell or Local Group Policy at another time. For now, we’ll have to enable boot to desktop in Windows 8.1. It allows you to complete bypass the Start screen. For Windows users not utilizing it, this saves some time and frustration with having to deal with it. 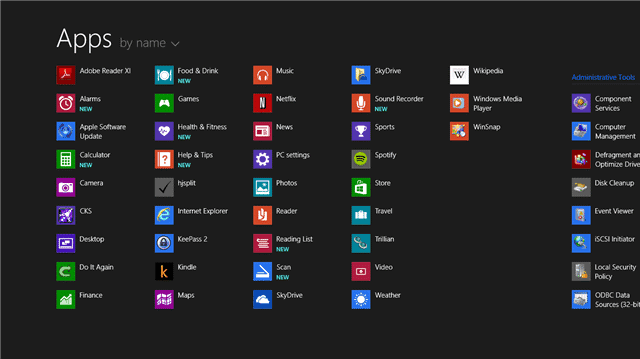 If you only use desktop-based apps, there’s nothing you need from the Start screen when it comes down to it. If you primarily use Windows 8 apps, you can’t easily access them from the desktop without tweaking, software or registry hacks. For some computer users, this is too much work to fix. You lose out on the Modern environment of Windows 8 and what is brings to the table. While not everyone likes Windows 8, the Start screen layout and functionality was made to move Windows forward not leave people behind. What Else Can The Navigation Tab Do? 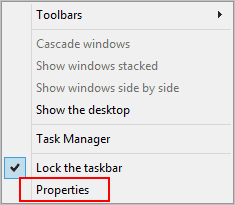 There are a few new settings to the Navigation tab for Taskbar and Navigation Properties in Windows 8.1. If you opt to still using the Start screen, you can show your desktop background on the Start screen by checking the box next to that option. You can also change how the Windows Key works in relation to showing the Start screen. If you use more than one display, you can choose the option to always show the Start when pressing the Windows Key on your main display. 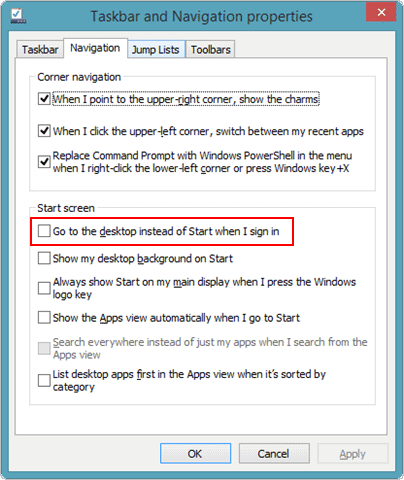 This can be useful on multi-screen setups where you might need to work on the desktop but still need access to the Start screen. Apps will follow the lead of this option and only open on the main display when this option is checked. You can also enable the Start screen to show the apps view instead of the primary Start screen. You can also show desktop apps first in the apps view from here and ensure you search everywhere from this view, too. 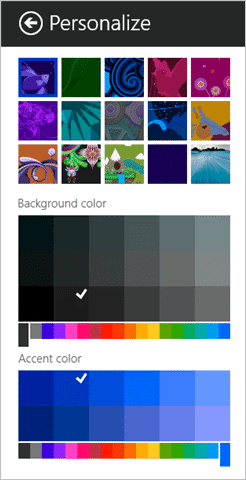 Now, you can change the background, the background color, and the accent color. Then, choose the colors for it to customize it the way you want. In the final version of Windows 8.1 that will be released, Accent Motions will be introduced. Accent Motions will give motions to certain aspects of the Start screen background. 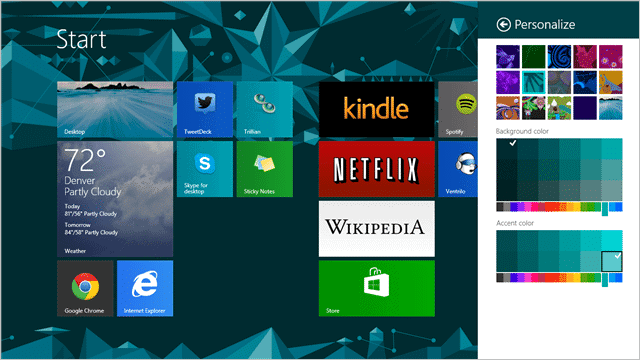 For example, the default fish background that comes with Windows 8.1 will show the bubbles moving through the Start screen when this feature is introduced. This only applies to upgrades and not fresh installs on a partition or VM for Windows 8.1 users. 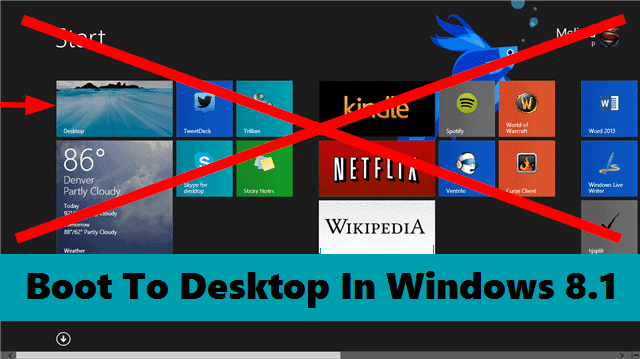 If Boot to Desktop doesn’t work at all and you’ve previously utilized a registry tweak, Lock Group Policy edit or other edit to make this work in Windows 8, you’ll want to completely eliminate those from your system and try Boot to Desktop again. If this still doesn’t fix the issue, it’s possible Boot to Desktop may not work for you at all unless you do a fresh install on a partition or virtual machine. This issue is related to any tweaks a PC user may have made to do this before upgrading Windows 8.1 but is specifically isolated to the use of a tweak in the Local Group Policy to make this happen. Disable or delete the Local Group Policy entry that was added to accomplish this in Windows 8, then restart Windows 8.1. The setting should show up to be enable Boot to Desktop in the taskbar settings. This happened to me personally in the upgrade to Windows 8.1. The Personalization options don’t appear when on the Start screen. When I used my fresh install, it did. Not sure if this is isolated to the upgrade or not, yet. This has been addressed by Microsoft, but the steps they offered didn’t work for my PC. I will keep an eye on this issue to see if Microsoft or other users can find additional fixes. When I first enabled boot to desktop in Windows 8.1 and restarted my PC, it seemed awfully slow as it booted. I don’t know if this was a fluke, as it’s happened on and off since then but not every time I boot. Time will tell if Windows may address the issue – if it’s an actual issue – so we’ll have to see how it plays out. You can count on us to follow any issues that may pop up with a boot to desktop. Keep an eye on this post in the future if you need to troubleshoot Windows 8.1 boot to desktop. Please Note: Windows 8.1 is a preview of the unfinished upgrade for Windows 8. Bugs, issues and other nuances might pop up either in our dealings with the OS or yours before it’s finalized by Microsoft for release in October. Please let us know if you have any issues, so we can help find answers for you and get Microsoft to address them on either end.